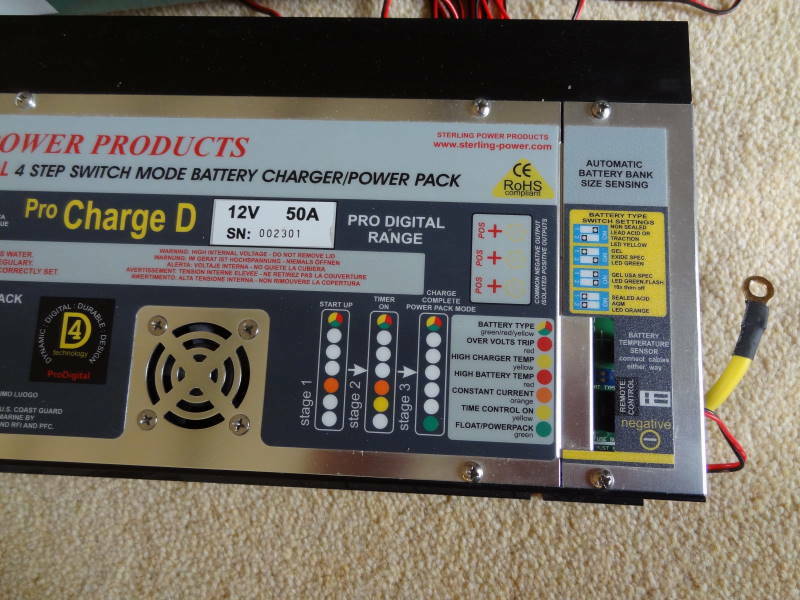 There are a couple of pages on here that mention battery chargers and for completeness I thought I had better elaborate a little further as battery chargers can be a key item of equipment – especially when relying on them for replenishing a discharged battery (or batteries). To start with many manufacturers will fit low technical chargers in their camper vans. By that I mean single stage, low output chargers that assume that first the alternator is the main charging system and secondly when connected to EHU you shouldn’t overcharge and cook the battery(s). I can’t disagree with any of that HOWEVER. I must point out a thing or two that is applicable to those of us that do go “off grid” now and then and either don’t use the main engine for a week or so and don’t use campsites with EHU. It all comes down to how you use your power and camper van. For example, what if you were wild camping along the coast or on a fishing trip or even staying on a Caravan Club CL for a week. The CL doesn’t have EHU and you have a portable generator. After a couple of days or so depending on your usage, you notice your leisure battery is getting low. Out comes the generator and you are a consientious member of the camping car public and you start it up after lunch. Now you have your on-board charger re-charging your battery at its max output of 15amps. It will take you around four hours to replenish approximately 50 amps back into the battery. I say 50 amps as this is a single stage charger that will start cutting back on output once the battery gets above 75% of its fully charged state. Well we have used 4 hours of fuel, endured 4 hours of noise. We have replenished our battery to around 75% so with a 110AH battery that is up to 82/2 AH. So we start off again for the rest of the week with only 27.5AH’s of usable power, having started the week after a 4 hour journey on alternator of approximately 45 AH of usable power (even the alternator won’t get more than 90% charge into a battery). Now what if we invested in a 4 stage 50amp digital charger? We go back to the day we notice the leisure battery getting low. Out comes the generator and off we go. This time the current going into the battery is 65amps (15 original + 50 from the digital charger). After around 45 minutes the charger(s) start cutting back as they have replenished around 45AH’s and then over the next 15 minutes the second/third stages come into play to pulse top up the battery before going into float mode after around 1 hour. Result? We have replenished around 45amps back in the battery so start off the rest of the week with a 100AH battery state out of 110AH. And before anyone starts to quote some theory or other these are only rough examples. But you see the point – right. Now this isn’t a solution for everyone as I said earlier if you use EHU then clearly it doesn’t apply to you. But if you are travelling around in Europe then stopping on a site to top up or using a service point time is key as you can hook up to say a French Borne and insert your jeton and get 2 hours worth of power and make better use of it. 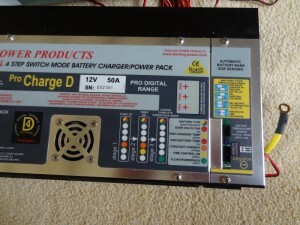 Now digital multi-stage charger cost money with a 30A charger costing around £100 and a 50A charger costing twice that. But if cost justification is an issue then even a simple Motorist Discount Shop charger will make a difference and seriously reduce your time to replenish. 15A chargers can be purchased for as little of £15/20. You won’t get the same effect as a digital charger but it will be much better than your onboard charger alone.